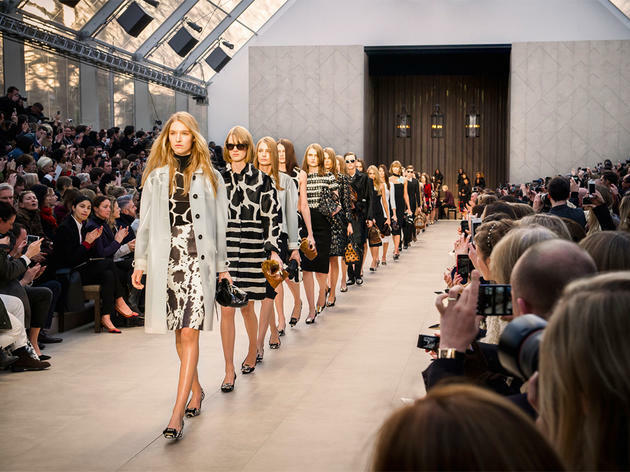 What's the deal with London Fashion Week? 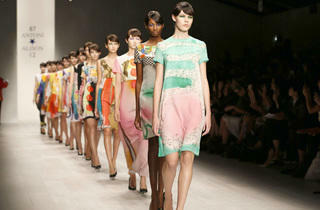 Like peacocks fanning their feathers, the four biggest fashion weeks – Milan, New York, Paris and London – like to out-do each other by hosting the biggest catwalk shows by the world’s best designers. Our homegrown showcase (organised by the British Fashion Council) takes place twice a year and gives top international talent a chance to present their latest collections to a rapturous (and self-consciously groomed) parade of global press, industry buyers, bloggers, photographers and chancers. The spring/summer collections are shown in September each year, while autumn/winter collections are presented every February (the next one takes place on Thursday February 16 - Tuesday February 21 2017). London Fashion Week has taken place at some of the capital's best looking venues, from the Natural History Museum to Somerset House, and then there was Brewer Street Car Park in Soho. But for 2017 the BFC has moved it to The Store Studios at 180 Strand, a venue that has already seen two menswear fashion weeks pass through it. 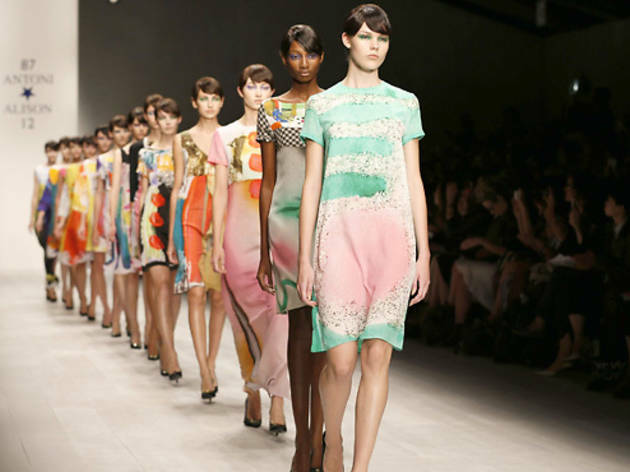 Many designers choose to showcase their wares at other locations, however – from the Royal Opera House to the Turbine Hall at Tate Modern, where Matthew Williamson hosted the venue’s first fashion show in 2011. Meanwhile, if you’re without an invitation (getting you entry to the exhibition itself), some of the best fashion can be seen outside on the cobbles, where bloggers take turns to photograph each other in flamboyant garb. If you’re a fashion mover and shaker (and you’ve registered on the LFW site), your stack of invites to individual shows is in the post. If you neither move or shake in the industry, it’s exceptionally tough to get into private shows. There is, however, a programme of public shows and fairs which take place away from the official schedule. Well, it depends if you have your heart set on being snapped by one of the hawkish bloggers and paps who stand in and around the show venyes hoping to get a portrait of the most fashionable and fabulous. If so, don’t just think ‘on-trend’, think eccentric, ultra-creative or super-chic. Personally, we favour flat shoes, but we’ve seen many a slavish stylista wobbling over the venue’s cobbled courtyard in towering platforms. Will I be brushing shoulders with Cara, then? It depends how pushy you are. If you have a ticket to some of the big shows, you can definitely play spot-the-celeb in the front row. 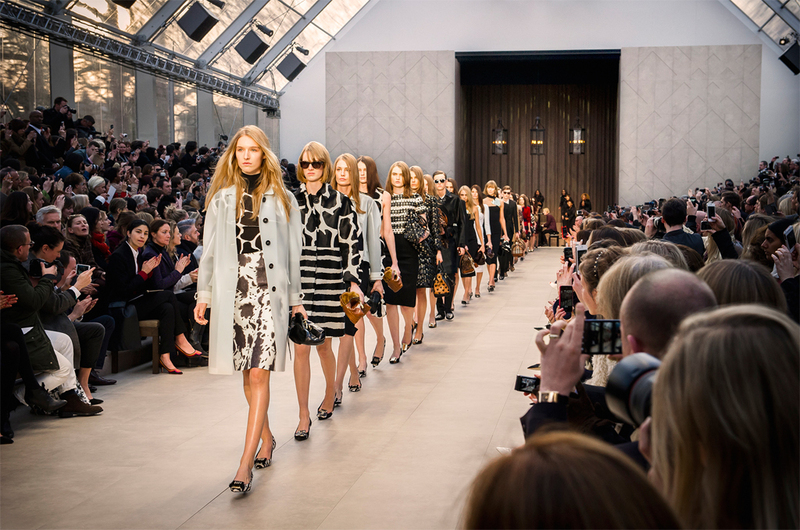 The most celebby shows tend to be Topshop Unique and Burberry (think both Delevingnes, Mossy, Kimyé and the Beckhams), who fly in their favourite style stars from all over the world to ensure a ritzy turnout.